Had a couple beers the other night with a former boss of mine. He hired me at Washington Consulting and I have always liked him because, despite his fascination with the Red Sox, he and I see eye-to-eye on things. As he currently has an ownership stake in a consulting firm right now, I chose to view our similarities in a positive light. An Owner should do whatever is necessary to insure the success of the business. If that means getting your hands dirty to keep a key client happy, that is what you need to do that day. Sure, you shouldn’t spend your whole year down the proverbial rabbit hole, but as an owner, your job is to do whatever it takes. Over my life, I’ve been through a lot of training outside the traditional classroom. Starting in Scouting and then transitioning into my professional life, I’ve been exposed to a lot of different Leadership principles. When mixed in with my professional experience, I think I have a firm understanding of what it takes to be a Leader. I have read a few books on Leadership in my day. I’ve been impressed with none of them. When I saw this Dilbert strip, it all made sense to me. No system works for every organization. No system works for a single organization all of the time. The Leadership style that creates a startup may not work when that startup is a market leader. The Leadership style for a software product company may not work well for an Association. Years ago, I started following Lisa Petrilli on Twitter as I had found some of her blog posts interesting. She had written several blog posts on how Introverts can leverage their skills to be valuable leaders. I loved the posts because I am an Introvert. If you don’t believe me, then you’ve never seen me hibernate after a large conference or noticed how I am always easier to find in the first few days of a conference than the end of the event. Being moderately “successful”, the posts usually helped to explain why what I was doing was the right thing or gave me tips on how I could do something better. 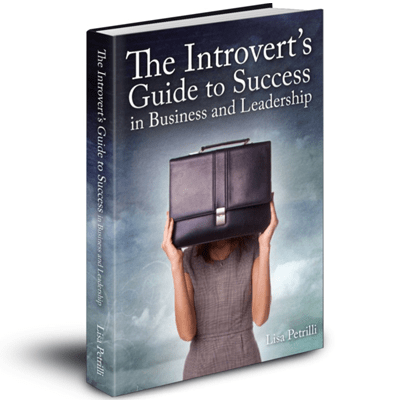 When The Introvert’s Guide to Success came out, I quickly bought it. Then like many work-related books that I buy, it took me a while to read. As I read the book, I was reminded of many Science Fiction classics. Not in tone or topic, but in style. Many early works were actually a compilation of a series of short stories published in one of the magazines of the day. As such, every few “episodes”, a basic tenet of the imagined universe was restated. This makes a lot of sense in a series that is read over a year or more, but not as much sense in a novel. Had a really strange day today. Lot’s of thought on strategy at work, a series of striking events, participation in #LeadershipChat, and finally an album that took me back to a reflective time in my life. During #LeadershipChat, Lou Imbriano said True leaders have little concern with popularity ~ which leads to credibility. This lead to a mini-debate that was partly brought about by trying to make things black-and-white and the fact that we were communicating 140 characters at a time. One key distinction is that there are two aspects of leadership that are impacted by popularity, the leaders and the decisions they make. 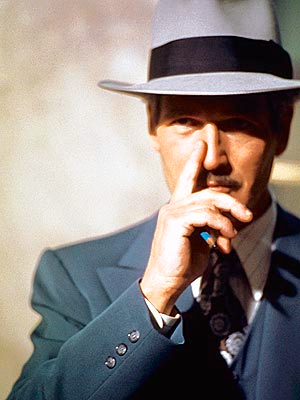 I was reading the recent article by Alan Pelz-Sharpe over at CMS Watch titled High Stakes for Documentum. It makes a lot of interesting points regarding this year’s EMC World from the perspective of an outsider. I don’t want to discuss the conference any here, you can read all of my posts for my thoughts. I do want to address the comments from Alan in his article regarding Mark Lewis.